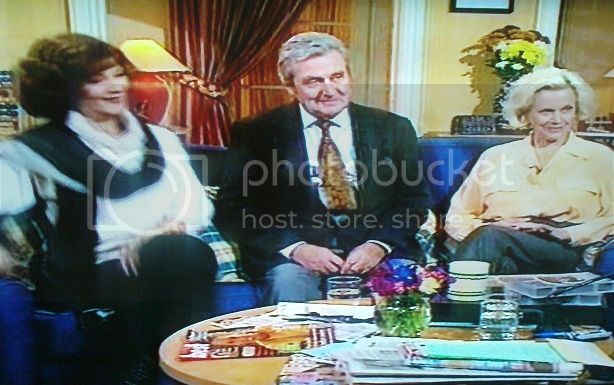 denisrigg... would you like to see some screencaps of the GMTV item with Macnee and Hunt that follows After 5? Many thanks, Mike, definitely I would like to see it. I'm delighted to have been of some help to other collectors/fans! 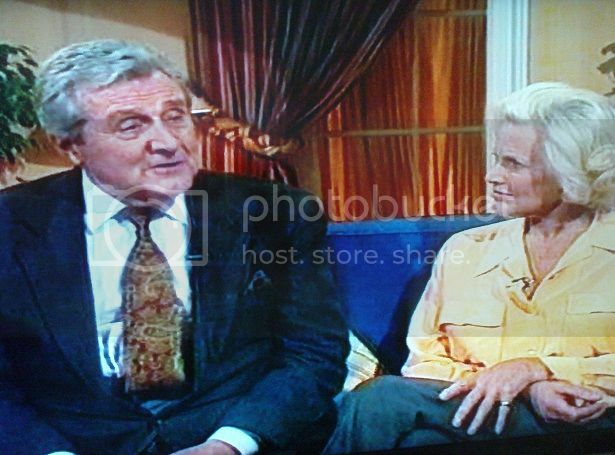 I always tried to get the live interviews from these daytime chat shows as these are the programmes less likely to be repeated. Many may never get broadcast again! Still in the process of transferring from VHS to DVD. Once I'm happy with the transfer, I'll try uploading on YouTube or Facebook. Not uploaded before on YouTube, so not sure how easy it is! Actually, I think all my Avengers material may be on this single VHS. There are some items that weren't in the list that appeared earlier in this thread. It doesn't help that those items aren't dated either (but can be given a rough estimate by what precedes and follows them). 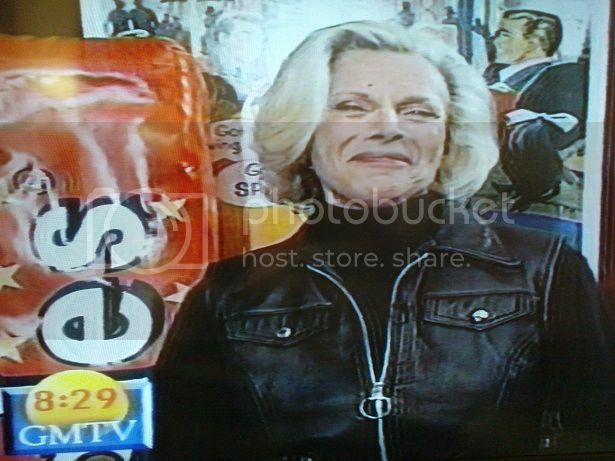 Good Morning with Anne & Nick - Gareth Hunt in the studio sitting in on a fashion item as models parade in various outfits! (I missed his interview sadly). If anyone can help with exact dates, I'd be much obliged. Thanks. Yes. Never heard of these interviews. 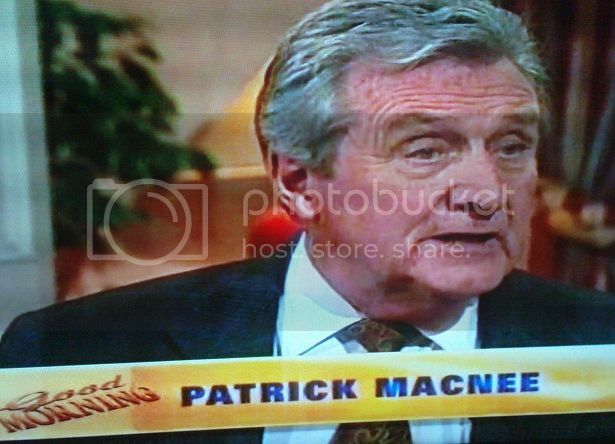 Macnee is particularly interesting although have not seen Gareth on an interview except the audio for TNA where Clemens talks too much IMHO. Yes if you have any others please let us know. 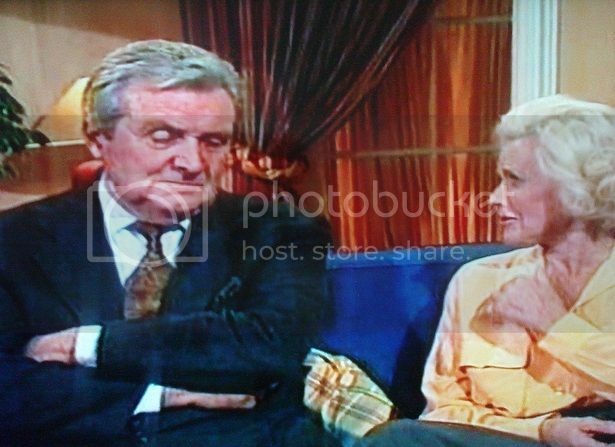 It's really sad for missing of record about Gareth Hunt on Good Morning with Anne & Nick, since I've seen little TV interviews with him. In almost every interview with Gareth, I learned something new and interesting about his person or nuances in his career. There are no difficulties to upload of videos on YouTube, Mike. Fast registration, and you already have access to it and other things. If okay to continue uploading screencaps in this thread, I'll do so until I'm told otherwise. Saves you looking in other places on the Forum though! 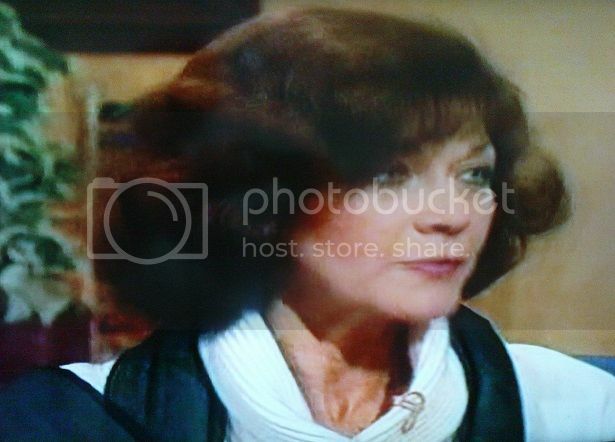 Linda Thorson in the studio while Honor Blackman linked up live from London's Covent Garden where she was launching the return of the 60s sweet Spangles! 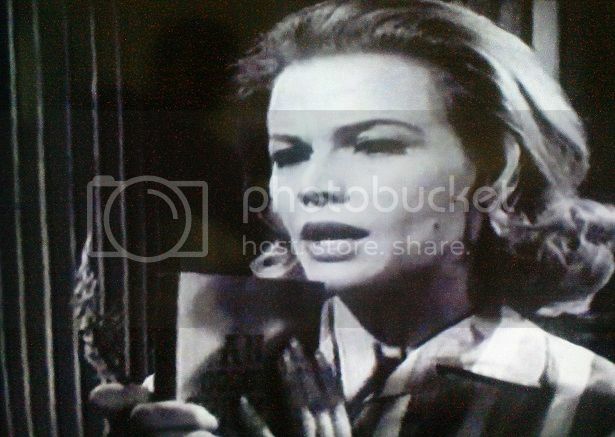 Today is the day that some Avengers VHS titles are released and an excerpt of episode 11 is shown (Tara about to hit a disguised Steed but recognises the nape of his neck just in time!). Linda talks of not knowing of The Avengers when she first came here from Canada, but really wanted the role of Tara. When she got the part, they then went about changing her appearance almost completely! There is a comparison to Moonlighting, as Linda had a guest-star part as an FBI agent in the series. Talk of a remake with all the Avengers women together. Honor isn't sure about the fighting, though she is wearing a black leather suit so seems ready to start fighting again!! With Honor leaving the programme, Linda goes on to talk of plans to open an Avengers Studio Café in Central London, with profits going to feed hungry children. She hopes it will be open 'this time next year'. 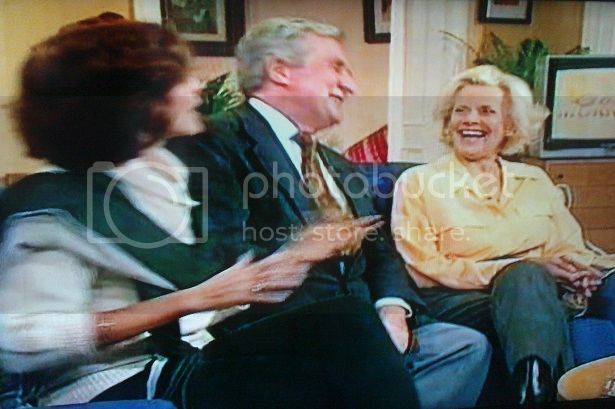 Patrick Macnee surprises Linda by joining her via phone (no moving footage!) from Palm Springs. She is delighted and they talk of meeting in Paris in November 93 for an Avengers video launch. 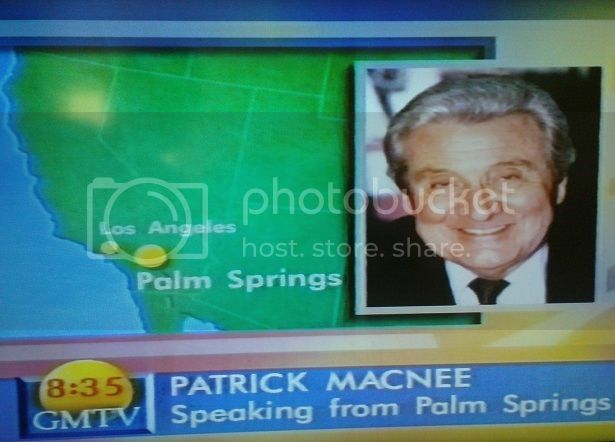 Patrick says he's working with Hulk Hogan (Thunder in Paradise). Mike please keep these coming. Screen caps and all. I missed all these interviews. And they are most interesting and funny. I guess Linda Thorson did a great acting job because now she is forever Tara. Be happy to, whenever I get the chance. Looking forward. I know all of this can be time consuming but much appreciated! Excerpt from The Avengers with Cathy Gale and Steed. 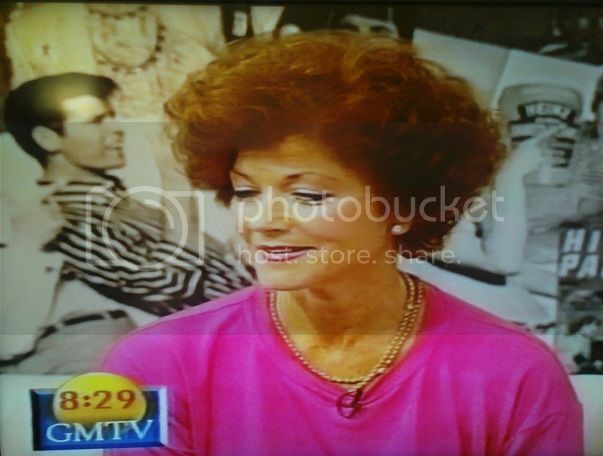 Then chat about the show going out 'live' in its' early days and the problems it sometimes caused. Patrick recalls an occasion meeting Honor in Kuala Lumpar many years ago. Honor was doing 'after-dinner theatre' and Patrick was involved in a tennis tour with the likes of Bobby Riggs (I think that's the name he said). Patrick said that all the women players voted him and Peter Graves the worst players on the tour! Linda spoke of her time on the series and the filming schedule. 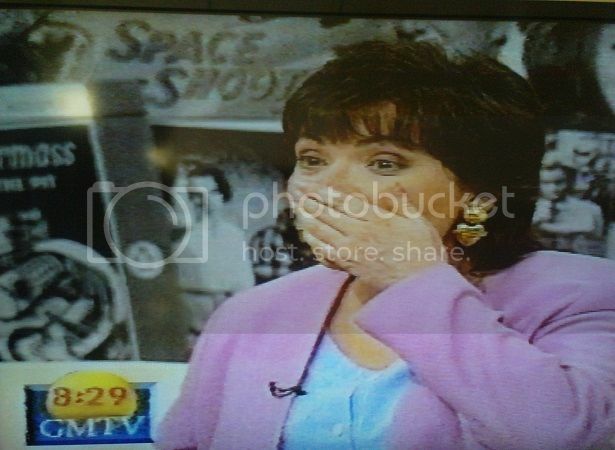 She said that the key to the show was Patrick and his creation of the Steed character. Patrick added that there were so many talented and professional people involved in the making of The Avengers, highlighting director Charles Crichton and name-checked some of his film work as well as Avengers episodes he'd directed. Linda again compliments Patrick on how nice he was to work with. It results in him leaning across and planting a kiss on her! They continue with the merits of the show and how it evolved from the Ian Hendry days. Interviewer Nick makes a point of mentioning Vincent Price who had recently passed away. 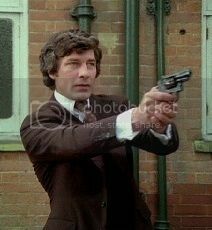 Patrick had nothing but praise for the man and spoke of Theatre of Blood as Diana Rigg had co-starred. 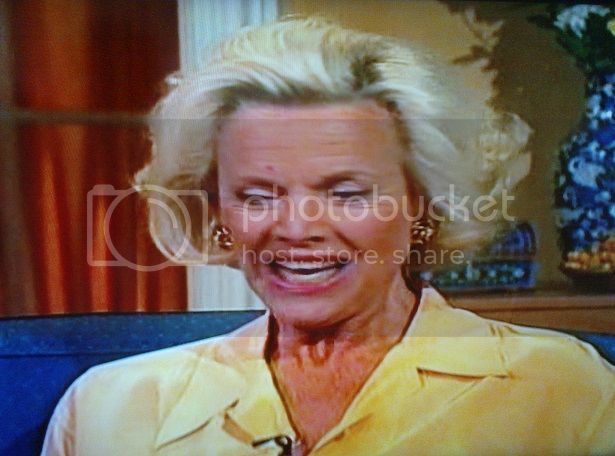 Linda revealed that it was Vincent's wife who taught her how to use a bidet properly. 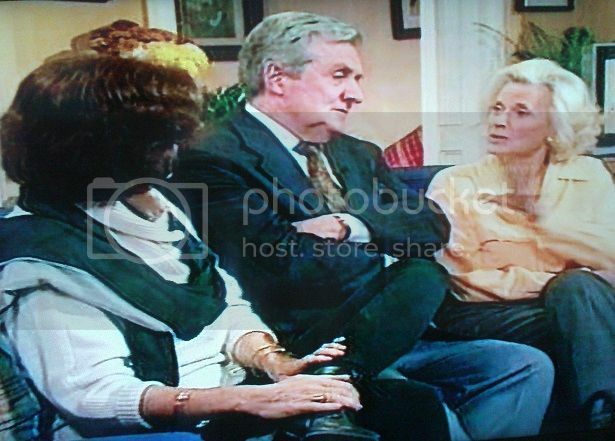 Apparently, Linda had been sitting the wrong way round! There is a pause for a brief Avengers fashion item, with models parading around the Thames by The Houses of Parliament as the theme music plays. Just before the chat concludes, Patrick praises the restoration work on the new video releases 'uncut, cleaned up and they've done a very good job'. This is terrific Mike and thank you for all your hard work here. 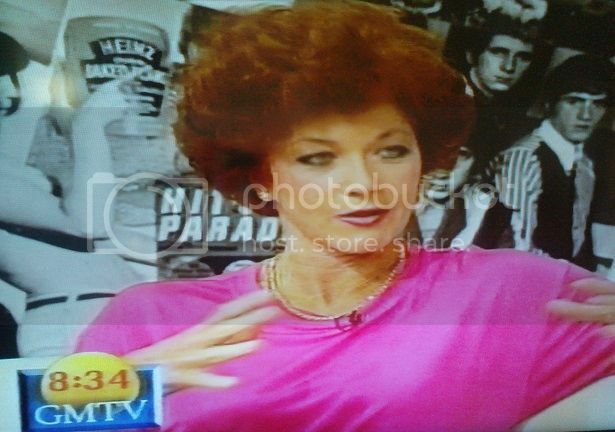 What amazes me about this interview is Linda THorson. She sounds very much in character as Tara. She does not seem to see herself as an equal to Patrick which is kind of sad. Seems like she is overly praising Patrick just like Tara. I thought she was an excellent actress with a sense of humour. True the year she had certainly had the best and worst of TA but that was not her fault. In any case interesting she does not talk about herself as Tara. And the bidet comment is a bit weird. What did you think as you watched it? thanks again!!!! Glad you're enjoying all the caps and chat analysis. You know, I'm more a fan of TNA than I am of the original series!! I'll watch the early episodes with pleasure when I can, of course. I had the video first episodes collection briefcase and some of the Thorson episodes (mainly for the Ian Ogilvy and Valerie Leon appearances) so I'm not particularly familiar with the characters. But it's The New Avengers that does it for me. On every level. Beginning with one of my earliest 'crushes'... Purdey. Then Gambit for his relationship with her and their funny have-they-haven't-they,-would-they-wouldn't-they banter, etc. All I can say is I enjoyed all these TV interviews with no particular bias or opinion. Just delighted that the video tape has survived for the past 20+ years and hope that others will be able to enjoy the actual footage and not have to resort to my screencaps and text!!! Quite understandable. TNA is a brilliant show. Having been on only 2 years was unfortunate plus all their funding problems. Rodney is currently writing a book on TNA with us fans. If you are interested in writing about an episode you should let him know. But agreed it is just interesting to have the chance top see these gems and again thank you for sharing them! I don't think I could do a better job than those who have already contributed to the TNA publication. Looking forward to seeing it in all its glory when complete!